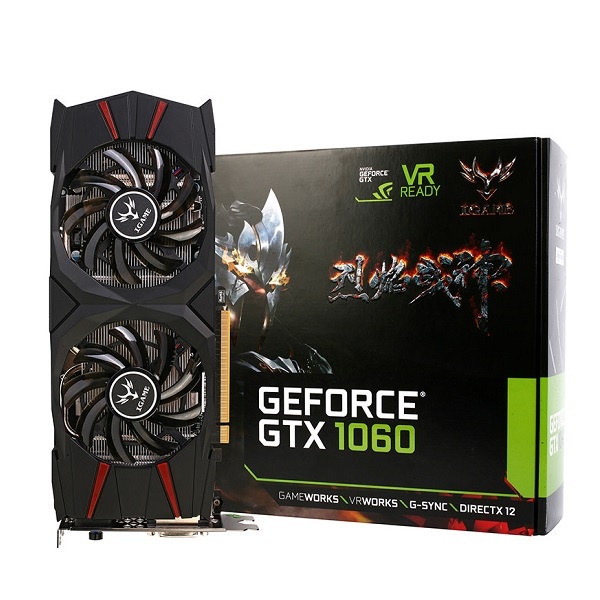 The iGame GTX1060 Vulcan U 6G comes equipped with a twin fan cooler and 6GB GDDR5 memory. * Graphics Engine: GeForce GTX 1060. * Video Memory: GDDR5 6GB. - Normal: 1708 MHz (GPU Boost), 1506 MHz (GPU Base). - Turbo: 1771 MHz (GPU Boost), 1556 MHz (GPU Base). * DVI Output: Yes x1. * HDMI Output: Yes x1. * Display Port: Yes x3.